14x17 unframed, visible image from mat opening aprox. MEDIUM: handcolored Byxbe print (handcolored watercolor print). 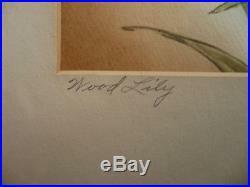 CONDITION: Some toning can be seen on the original matting due to age (see photos). All original components from the period, sealed verso. Not examined or removed from frame. 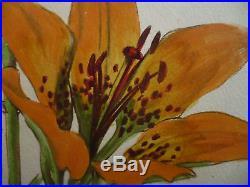 REF: Superb rare original work by collectible etcher, Lyman Byxbe. 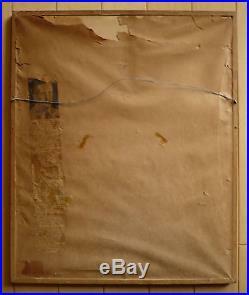 This is a rare mixed media piece by Byxbe (appears to be watercolor and oil based highlights on paper, enhanced print - sealed verso with original article about Byxbe from the period). 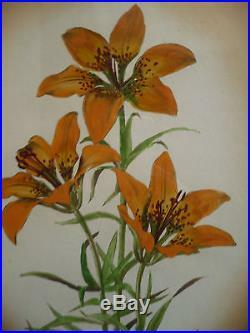 See close up photos of orange color on the flowers - appears to be oil based or possibly gouache in this area. Signed lower right on the mat "Lyman Byxbe". 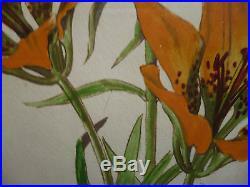 Titled lower left, "Wood Lily". 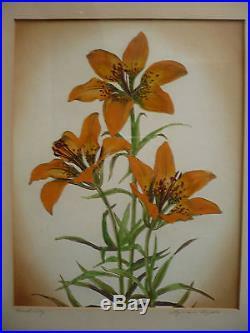 Original enhanced print on paper, hand colored. Don't forget to take a look at our other auctions - We are adding many new listed plein air art, California impressionist art, modernist to mid-Century California vintage oil paintings and important antique and rare American artists each week. 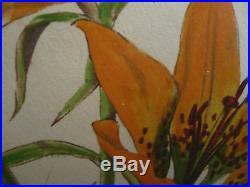 All of our vintage listed art inventory oil paintings are from the listed artist private collection. We provide the most accurate information about our paintings and provide quality original art at an affordable gallery price (many times way below market value). We believe and are working in the FADA model - authenticity assurance and dealer of fine art originals. 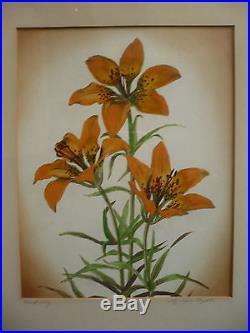 We do our best to provide and present the most accurate details about the paintings offered. 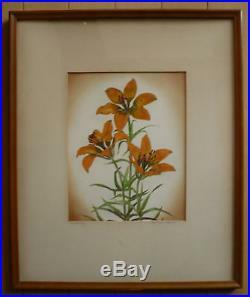 The item "Lyman Byxbe, LISTED Estes Park Colorado, Rare vintage mixed media Floral, Signed" is in sale since Monday, January 23, 2012. This item is in the category "Art\Mixed Media Art & Collage Art". 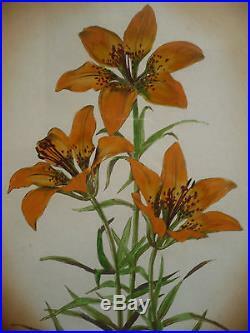 The seller is "listedpaintings" and is located in California. This item can be shipped worldwide.